With a view to establish Cookme as a national brand, JD Marketing Pvt Ltd was established in 1993 with its head quarters at Bangalore. This new company soon started production as well as marketing of Cookme spices. With new technology, automated modern machines, team of experts backed by a century of experience and latest research findings, JD Marketing soon pushed Cookme up through the maze of spice products in the market. And it remained the leader… till date. Our R & D personnel at Bangalore are never at rest. Always alert, always probing they are constantly experimenting with new products, new concepts. Thus remains Cookme today. Balanced evenly on two wings: Krishna Chandra Dutta (Spice) Pvt Ltd and JD Marketing Pvt Ltd. Flying ahead with the moto: Even the best can be improved. A spice trader from Darmahata mulls over a new blueprint. A new product is on the anvil. A new line is being established. On closer scrutiny, it appears to be a ready-to-eat food. The name reads Cookme and the product is actually spice. Sounds futuristic? 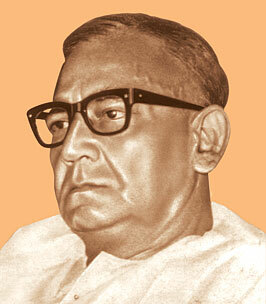 That’s Atanu Chandra Dutta… Innovative, unpredictable, visionary. Foodies from Punjab to Bengal believe in dishes that please the tongue. The result? Rich food, with a capital R.
Westerners from Maharashtra to Rajasthan, dig food that caters to their health. So they prefer bland over rich food. Southern gourmets eat according to climate. They eat food that keeps their body cool. Raise the quality of the products. Enhance automation through increased usage of machines and devices. On the intangible side, Atanu Dutta decided to increase the goodwill of Cookme that his father Judhisthir Durra created during his lifetime. He resolved to get to know the characteristic properties of the individual spices better. He always believed that each spice has a unique set of properties which determines how it will mix with other spices and how the final flavour will turn out. With this firm belief in mind, he set up research and development laboratories in Kolkata and Bangalore units of Cookme for studying the properties of spices, improving the quality of existing products and exploring the possibilities of starting new lines of products. In the pipeline is an additional investment to expand activities in eastern India. “We are setting up a new factory at Madhyamgram in North 24 Parganas,” says Atanu Dutta excitedly. The factory which is being set up on a plot of 80 kathas, will focus mainly on research and development. “We have plans to pioneer the Ayurvedic concept in spices for which this new project will be the driver,” he adds. So far there is no turning back for Atanu Dutta. Competition, like most industries, is one area which seems to be snapping at the heels of Cookme, the brand leader of the East. Atanu however remains unfazed about the ‘me-toos’ and other corporate entities that are planning to take the plunge in this segment. Wise words indeed, considering the fact that Cookme has recently launched a direct feedback scheme from the customers. Appropriately called Room Service, it gathers feedback from consumers based on their complaints. The company then looks into these and takes corrective actions with immediate effect. Cookme’s success continued over the decades. At the end of the millennium, Cookme came up with another innovative idea. It introduced to the consumer market a range of ready-to-cook pastes with oil base starting with Mustard and Poppy seed (Posto) pastes. It was Atanu’s endeavor that resulted in another breakthrough. “The kitchen became secondary as women started to venture out to earn a living. Working women neither had the time nor the will to buy raw material, grind them and finally prepare them for cooking. We saw an opportunity there. A new segment opened up right in front of us… we saw people buying out our stocks in no time,” Atanu recollects fondly, as he traces the final growth phase of his family garden. When Atanu entered the business (he prefers to say that he was thrown into the ring at the tender age of 14), he knew that the road ahead would be tough and long, with thorns across his path. But he was undaunted and determined to tread on. Atanu Dutta: The master of spices continues to innovate and is responsible for making Cookme a household name. The face of India has changed ever since Cookme was launched about a decade ago by Judhisthir Dutta. In the late sixties, the upper and upper middle class families were burgeoning in the urban areas of the country. Atanu, the son of Judhisthir Dutta had joined the family business earlier. By this time he had become a driving force behind Cookme. Always eager to do something innovative, he observed the market trend and studied the consumer behavior carefully. He could sense a very specific need of his consumers – the ready-to-cook spices. He understood the tremendous opportunity of this line of products and soon Cookme launched a variety of ready-to-cook mixed spices in the market. The company focused on this winning portfolio throughout the seventies. And the rest, as they say, is history. Atanu’s claim to fame, he shyly admits, was to inherit the knowledge of spices and business acumen of his ancestors. “Whatever I am today is because of my forefathers who had left me a fully blossomed garden. My only job was to nurture the plants and watch them multiply,” says Atanu Dutta of Cookme candidly. People preferred ground spices in pouches rather than buying them whole and later grinding them at home. Judhisthir Chandra Dutta created a convenience for the consumers which they actually had a need for, even if they didn’t know about it. Judhisthir Chandra latched on to this new consumer behaviour and went a step forward to brand his innovation. Thus a phenomenon called ‘Cookme’ was born in 1958.The first branded spices to find a place in Bengali households. 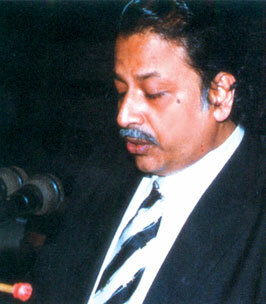 Judhisthir Dutta: Built the packaged spices market and the Cookme brand. Judhisthir Dutta held fort astutely while beginning to make a difference to the family business. The Second World War was over and a new era of industrialization has dawned on the whole world. India was free from the British Raj and was trying to rebuild her economy through industrialization. The Government put heavy emphasis on empowerment of women. The urban life started getting faster. Judhisthir nurtured the idea of selling ground spices in small pouches to household consumers as an exclusive option. He believed that it will catch on as it will save a lot of time to the women in the kitchen. In those days such decisions were guided by sheer sense rather than suave marketing foresight. Armed with his three-and-a-half decades of family experience in the spice trade, Judhisthir embarked on this new venture. Fresh dry spices of high quality were ground carefully so as not to let their aroma and freshness fade away, and packed in small consumer friendly pouches. His was the first shop which started selling fresh ground spices to the consumers. It became popular as ‘Kisto Dutta-r Mashla’. In the next five years it appears, the concept did pay off. Things moved smoothly and Natabar Chandra conducted the business successfully. But in 1918 he suddenly passed away only to be survived by three very young sons. The eldest one, Judhisthir Chandra was only 9 years old when he had to take charge of the business. Luckily, his maternal uncles gave him support in conducting the business. Gradually the real story started getting unfold as Judhisthir Chandra gained experience slowly and steadily. Spices arrived by the boatloads at the ghats of Kolkata from places as far away as Rangoon and North Bihar. This was the time when business deals were hooked, booked and cooked at the weekly haats, which were makeshift market places where buyers and sellers from different places met to do business deals. During this time, the spice business was gathering momentum. Years passed and Krishna Chandra grew old he handed over the business to his son Natabar Chandra who ably took over the reins of the family business.